I feel fortunate to have grown up in a rural area in east-central Minnesota. From a young age I was very drawn to the nature that surrounded me and I spent much of my free time exploring and learning about it, and since I can remember I have had a special interest in fishes and amphibians. During my adolescence, a lot of my time was dedicated to activities such as sports, school, and yes, hanging out with buddies, but my passion for natural history remained. After graduating from high school in 1993 I became even more interested in tropical natural history and Neotropical amphibians, especially the Centrolenidae family of glass frogs. I was fascinated with glass frogs and I focused much of my energy trying to obtain more information about them through the available information published in the scientific literature. I soon became frustrated regarding the relatively limited information available on glass frogs and I was left with a deep desire to know more. I decided the best way to fill this hunger for more knowledge was to travel to Costa Rica to get first hand in situ experience with glass frogs and other amphibians native to the tiny republic. 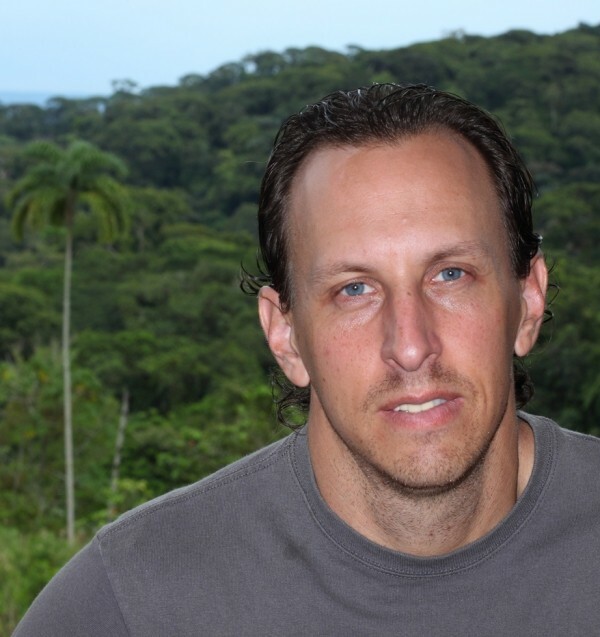 Brian Kubicki established the Costa Rica Amphibian Research Center, a small private and family-operated biological research project that is dedicated to studying, understanding, and conserving Costa Rica’s humid forest amphibians. After obtaining scientific research permits from the Costa Rican government I first travelled to the country in August 1997 for a three-week trip to conduct fieldwork, principally focused on glass frogs. I went to Costa Rica alone and with very little knowledge of the country or language, but I managed to put my resourcefulness to work and find numerous species of amphibians, including glass frogs. During my short visit to Costa Rica in 1997 I fell even more in love with the amphibians of the country and decided that I wanted to further my understanding of them by moving there on a permanent basis and dedicating my life to their scientific study. I moved to Costa Rica in June 1998 and I have been a permanent resident ever since. Since my arrival in Costa Rica I have dedicated my life, including thousands of hours of exploration and fieldwork throughout the republic, to conducting biological research focused on the alpha taxonomy, natural history, and distribution of Costa Rican amphibians. To this day one of my areas of special interest continues to be with the glass frogs of the family Centrolenidae, but my studies also encompass other taxa such as bolitoglossine lungless salamanders (Family Plethodontidae), tree frogs (Family Hylidae), New World direct-developing frogs (Families Craugastoridae and Eleutherodactylidae), and poison frogs (Family Dendrobatidae). 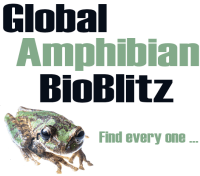 This experience has resulted in numerous publications on the amphibians of Costa Rica, including species rediscoveries, new species descriptions, and two books. I have dedicated a large portion of my time, money, and energy during the last five years to conducting detailed scientific studies on the salamanders of Costa Rica. Costa Rica has one of the richest diversities of salamanders on the planet, with fifty species currently known to inhabit its tiny territory, most of which are endemic and surrounded by mystery. My salamander studies are focused on alpha-level taxonomy, in addition to further documenting their natural history and known distributions. My wife (Aura Reyes) and I have dedicated hundreds of hours to fieldwork in the cloud forests along the Caribbean slopes of Costa Rica studying moss salamanders (Genus Nototriton), often involving being soaking wet and freezing cold. Moss salamanders are considered to be among the most poorly known groups of herpetofauna native to Costa Rica, but I have been working hard to change that. My goal, from the time I moved to Costa Rica, was to find a property rich in amphibian diversity and establish a project focused on their research and in situ conservation. In late 1999 I discovered the impressive region of Guayacán de Siquirres and concentrated much of my time conducting alpha-diversity amphibian studies in the area. After years of fieldwork and inventories, Guayacán has proven itself to be the richest known site in Costa Rica in regards to amphibian diversity, with nearly seventy species being documented in the relatively small area. In 2002 I purchased property in Guayacán de Siquirres and dedicated it as a private reserve to be used for my research and in situ conservation projects; at the same time I established the Costa Rica Amphibian Research Center (CRARC). The CRARC is a small private and family-operated biological research project that is dedicated to studying, understanding, and conserving one of the most ecologically important faunal groups of Costa Rica’s humid forest ecosystems, that of the amphibians. The CRARC now owns and operates two private reserves in the mega-diverse forests along the Caribbean slopes of Costa Rica’s Talamancan mountains, the Guayacán Rainforest Reserve, and the Río Vereh Cloud Forest Reserve, these two small reserves are currently known to be home to sixty-seven species of amphibians, but following further studies, especially in the Río Vereh Cloud Forest Reserve, this number could likely approach or even surpass seventy-five. Since 2003, the CRARC has proven to be a pioneer with establishing novel and successful in situ conservation methodologies for a variety of amphibian taxa within our reserves. One example of a taxon-specific in situ conservation project that has been very successful is with the Critically Endangered Lemur Leaf Frog (Agalychnis lemur). Through the creation of artificial and semi-natural breeding sites in the Guayacán Rainforest Reserve, I have been able to greatly increase the size of an initially small reintroduced population of leaf frogs. Not only has the population of leaf frogs within the reserve greatly increased, but numerous metapopulations are now breeding at sites where this species was previously not observed in the surrounding area. Based on the great successes I have had for more than a decade with in situ conservation practices with several amphibian taxa I feel that it is very important to emphasize that this should be considered as a priority and one of the most effective ways to potentially achieve long-term conservation with species of special concern. 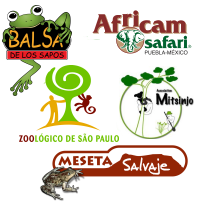 Throughout my nearly twenty years living in Costa Rica and studying the country’s amphibians, I have worked with numerous taxa ex situ in specially designed naturalistic enclosures, or what I have come to call “captive ecosystems”. My priority when working with any amphibian species ex situ is to attempt to replicate the biological and physical parameters that define its microhabitat as closely as possible. I have been able to breed and raise several species of anurans and caudates that had never been bred in captivity, one such example is with several species of Costa Rican moss salamanders. Despite the potential conservation importance of working with certain amphibians ex situ, I think that another very crucial aspect of maintaining and closely observing amphibians in captivity is the capability to learn more about their general biology. This is especially important with many of the poorly-known taxa, for which it is a plain and simple fact that we know little to nothing about their natural history. When we are armed with a greater knowledge of the natural history of a specific taxon we can make more efficient decisions on how best to go about protecting and conserving them. I consider myself an “old school” scientific naturalist and explorer. I love studying maps and identifying poorly-known sites with specific climatic conditions and getting into them to explore and document the amphibians that are found there. I have many additional interests apart from amphibians; these interests include freshwater and marine fishes, marine invertebrates (especially reef building corals of the order Scleractinia), dendrology, botany, geography, physical geography, biogeography, meteorology, climatology, and nature photography.